The Australian contracts-for-difference (CFD) and FX industry is facing one of its most challenging periods this year, which could bring about consolidation in this crowded market. A convergence of regulatory and market forces, which have been brewing over the past couple of years, may provide the biggest headwinds to this mature market. UK – Financial Conduct Authority (FCA) announced plans in December 2016 to put a cap on leverage for retail traders. The announcement had an immediate impact on some listed CFD providers with significant exposure in the UK market, which lost a combined market cap of over $2 billion after the FCA announcement was made. Cyprus – Securities and Exchange Commission (CySEC) mandated the default leverage at 1:50 for new FX and CFD traders. France – Autorité des Marchés Financiers (AMF) banned the advertisement of FX, binary options and other highly leveraged products. AMF is also seeking potential cap on leverage for retail traders, which is similar to what the FCA is planning to do in the UK. Australia – the Federal Government will push ahead with legislation mandating the segregation of client moneys, which the Australian Securities and Investment Commission (ASIC) says will give investors more protection. According to Irene Guiamatsia, Research Director at Investment Trends, the series of regulations across the globe “could be the biggest game changer for the industry.” This is because, while new rules and regulations were previously issued and limited to specific countries, this whole raft of new regulations seems to be a coordinated effort from the different regulators worldwide. “What we’re seeing now is more of a global and synchronised move from regulators,” Guiamatsia noted. And this is precisely what’s in the minds of all CFD and FX providers. Everyone we interviewed for this article mentioned the coming regulations from the different countries and jurisdictions will be one of their main areas of focus and challenges this year. In Australia, a number of CFD and FX providers noted that this tide of global regulatory decisions that is slowly making its way to the country may change the face of the industry for the long-term. And as one of the biggest and more mature CFD markets, Australia could be on the cusp of a worldwide industry transformation. Tamas Szabo, Chief Executive Officer at IG Markets Australia and New Zealand, said CFD and FX providers will have to face regulatory changes which may force them to change the way they operate and deliver services to clients. He also noted the impending client money rules in Australia will very likely go through the senate in February and firms that don’t meet the capital requirements may be forced to change their business model or disappear. Currently, there are approximately over 50 firms operating in the Australian CFD and FX industry, making it one of the most crowded markets in the world. Australia has been an attractive market for CFD and FX providers given its strong regulatory environment. Its proximity to Asia, which is being seen as another growth market, is also a magnet for international CFD and FX providers. FXCM, which is one of the most heavily hit by the Swiss National Bank event in 2015, agreed that the main challenge for the industry this coming year is the huge number of regulatory changes from different jurisdictions. In Australia, with the new law expected to be passed as legislation in February 2017, CFD providers will have a one-year period to comply with the client money segregation rule. What Brought about the Regulatory Changes? 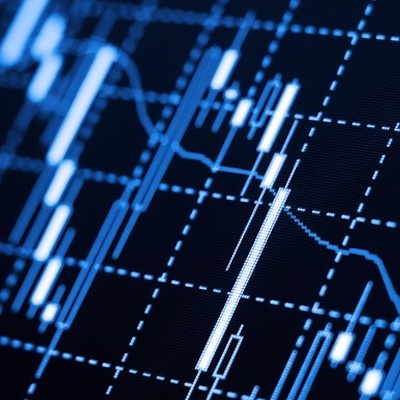 As the leading industry research body monitoring and analysing the global CFD and FX industry, Investment Trends enjoys a front row seat giving it a good view of what’s been happening in the industry. According to Guiamatsia, the January 2015 decision by the Swiss National Bank (SNB) to unpeg the Swiss franc from the euro was the single biggest factor that brought to the fore some of the weaknesses in the industry. However, she pointed out that the past 18 months have been positive for the industry in general. There are pockets of growths particularly in the UK where Investment Trends saw some healthy growth in the number of traders. The continued growth and demand for leveraged trading products may well be supported as investors all over the world look for opportunities. As long as equity markets remain weak and provide razor-thin returns, traders will be looking for leveraged products to boost their returns. At the same time, the biggest attraction for CFD and FX traders remains – the ability to go short and take advantage of market movements even when prices are falling. What’s in Store for CFD and FX Providers in 2017 and Beyond? While it may still take a few months or even a year for all the new rules to kick in, the implications of these upcoming regulations cannot be underestimated. This is because as providers are forced to comply with a new regulatory regime they will also be forced to either change their business model or their entire business structure. According to Guiamatsia, the capital requirements being introduced under the segregation of client money rules may see some small players merging with one another. Given the maturity of the Australian market and the big number of providers, it won’t be surprising to see some mergers and acquisitions within the next 12 months. Another possibility is for some small players to be operating under the banner of a bigger provider. This model is already in place with some new entrants operating purely as white label partners for some larger providers. This may be an attractive model for some operators that want to maintain and build their own brand and presence albeit while riding on the back of another provider. While no one from the major players is ready to confirrm the possible scenarios, there are industry observers and analysts who believe that it is just a matter of time for mergers and acquisitions to unfold among providers. And for a mature market like Australia, it won’t be surprising to see some level of consolidation for the industry to settle into the next level of growth. Given the fact that Australia is a mature market in terms of CFD trading, providers will continue to face the challenge of growing the trading population. The most recent Investment Trends survey of the CFD industry showed that the number of traders in Australia has dropped slightly compared to the same period as the previous survey. The research house attributed the fall in trader numbers to those who must have stopped trading temporarily. “What we found over the years that we’ve been doing the surveys was that while new traders may come into the market, there are some traders who stop trading for a while. This means that though there are new traders being added to the trading population, this number may be offset by those who stop trading for a period of time,” Guiamatsia said. Client reactivation and client churn (traders switching from one provider to another) are two areas of concern and opportunity for providers. Based on recent industry data, providers that were able to reactivate dormant clients and hold on to their existing ones tend to grow their trading volume and market share. As new technology continues to advance and dominate most industries, CFD and FX providers are also slugging it out in the technology front. And it’s not only in terms of advanced and full-featured trading platforms that the battle is being fought. Some of the more aggressive providers are heavily investing in digital technology to boost their client acquisition and retention programs. Providers are not only making sure their trading platforms are up to scratch for the tech savvy and heavy users of mobile and digital technology. They are also offering a wide range of trading platforms – both for desktop and mobile users as well as the high volume users that require dedicated and super-fast execution. Providers are also investing heavily and making use of digital marketing tools that are helping them reach fickle clients and deliver products and services in real time. As the CFD and FX industry continues to transform with changing regulations and as traders remain demanding of their providers, we will see more new products that will appeal to existing and new traders. For example, a number of providers have recently added emerging market currencies including those in Asia and Latin America to give traders access to these growing markets. Late last year, AxiTrader introduced 10 new exotic margin forex pairs from Asia and South America based on rolling Non-Deliverable Forwards (NDF). The new FX products were launched as AxiTrader pursues new clients and expands its global footprint. And under the stewardship of Rajesh Yohannan, who was appointed CEO of AxiCorp in mid-2016, AxiTrader said it will pursue a three-pronged approach to growth by expanding into new markets, launching new and more products and investing in technology. As more markets emerge and globalisation continues to spread, AxiTrader may be joined by other providers in launching new forex product and their derivatives. For example, as the Chinese yuan gains more attention in the global markets, it will be just a matter of time before it will be actively traded like other currencies. As Guiamatsia from Investment Trends pointed out, leverage trading will remain attractive as traders and investors seek better returns than what they’re getting from equities. This article was written by Eva Diaz.